In this guide we will configure Let’s Encrypt SSL on Nginx (Ubuntu 16.04 / 17.10). Update the package lists again and install certbot for Nginx. This is the Let’s Encrypt client. If you haven’t already done so, it is recommended that you enable the ufw firewall and add a rule for Nginx. Before enabling ufw firewall, make sure you add a rule for SSH, otherwise you may get locked out of your server if you are logged in remotely. Now add the “Nginx Full” profile and then delete the redundant “Nginx HTTP” profile if it exists. 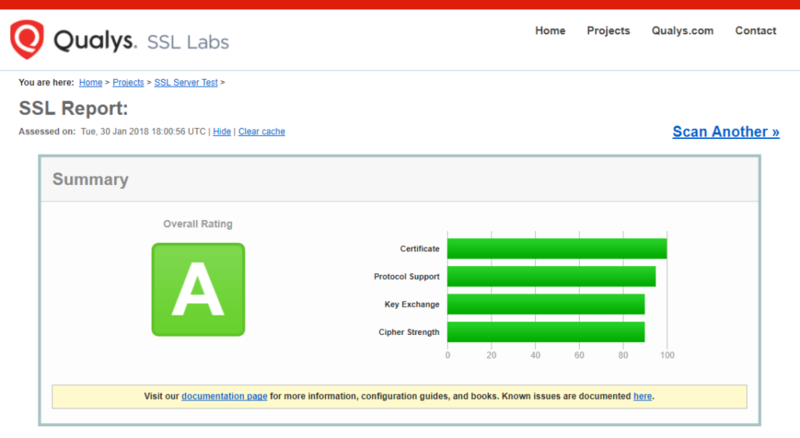 We will now obtain a cert for our test domain example.com. Certbot has an Nginx plugin, which automates the certificate installation. Checking the site in Chrome, it’s stuck in a redirect loop. The things is, the site is still up and working. Just getting these errors. This appears to be a bug with Certbot. You will need to force Nginx to restart. Then open the file you have in there. e.g. Now try running certbot renew --dry-run again.